I still remember those younger years when I dream of being pampered by my prince charming with flowers, balloons and all those grand gestures to show his affections. But as I grow older, I become more and more practical and I found myself telling R not to buy me anything inedible. Defining myself as a scrooge would be too harsh as I still enjoy other forms of gifts. And my favorite to date is when R prepared a lovely steak dinner for us in Tagaytay. But with us being so busy these past months, we could barely even celebrate each others birthdays. Thankfully, a thoughful brand came up with an easy yet thoughtful way for us to express our love. Hello, Toblerone Valentine's Limited Edition Sleeves! 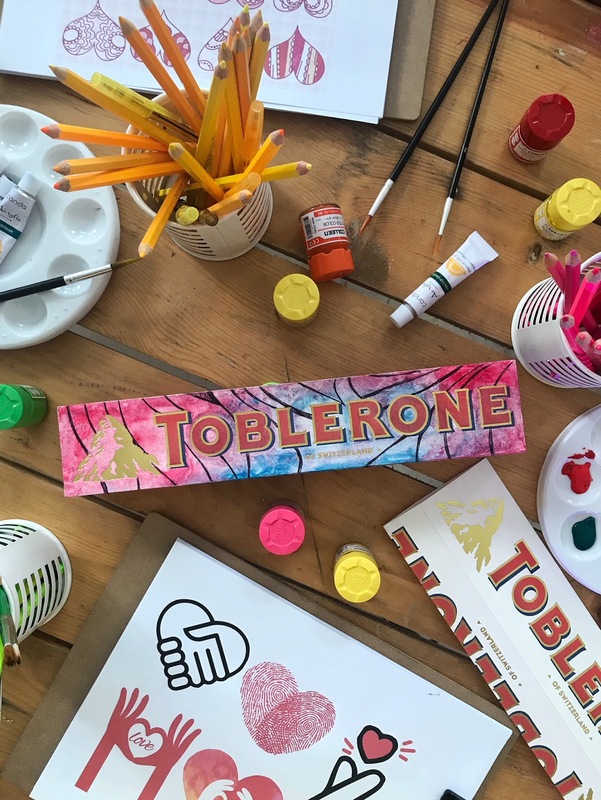 Toblerone took customizing gifts to a new level by offering its patrons blank sleeves for its famous triangular chocolate bar. 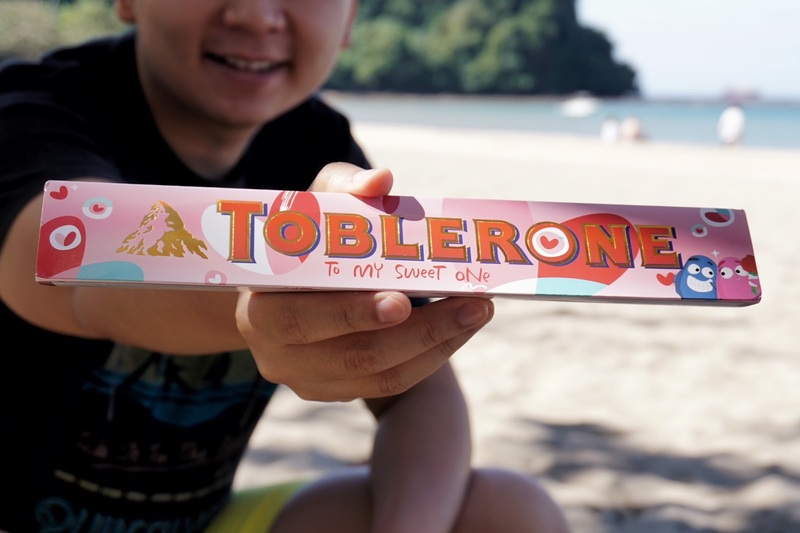 Available at Toblerone pop-up Valentine stations in leading malls including SM North Edsa, Robinsons Galleria and SM Megamall, you can give your gift a personal touch. But it doesn't stop there. There will also be local artists and calligraphers present on selected dates to help you with your masterpiece. 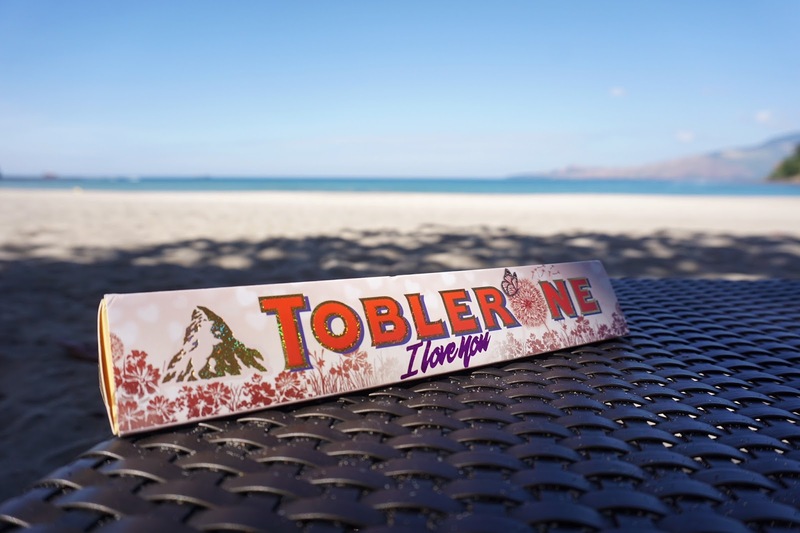 And if you prefer to design yours digitally, you may do so at www.tobleroneph.com and have your Toblerone sleeves printed at any of the Valentines stations for a minimum purchase. I tried working on mine with some coloring pencils with one of the artworks on display as inspiration. It was definitely fun making my own sleeve. 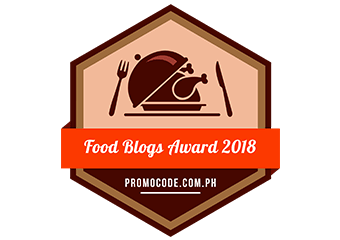 And despite not achieving the output that I wanted, the fact that I exerted time and effort in making it makes this chocolate bar a lot more special. And I do hope that R would appreciate it. 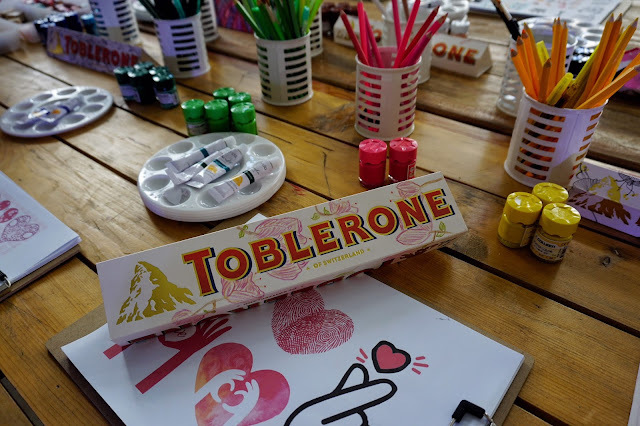 But if drawing or art in general is not your thing, Toblerone also partnered with artists Alessa Lanot and Googly Gooeys to come up with beautiful sleeve designs. Artworks of Anina Rubio, June Digan, Soleil Ignacio and Juan Rodriguez are also available and perfect to give out this day of hearts. And if you are a fan of these talented artists, can you identify who made which design? I can't wait to give my customized gift to R this coming 14th! Maybe I should make some too for my parents, sister and even myself! After all, Valentine's is not just for couples. It's a celebration of love. Toblerone bars are available in milk chocolate, dark chocolate, white chocolate and milk chocolate with almonds. 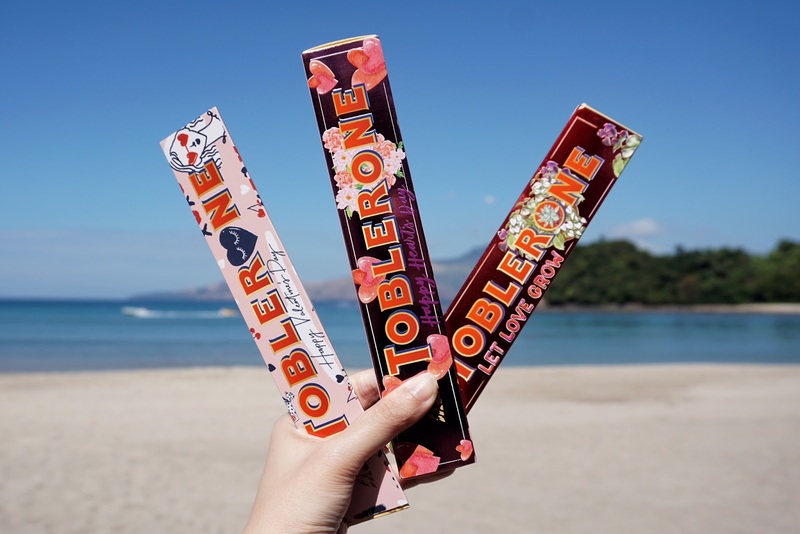 All Toblerone flavors are available in 100 grams (PHP106), 200 grams (PHP202) and 360 grams (PHP400). 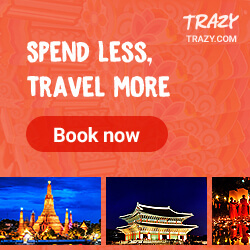 Get the latest updates from this delectable chocolate bar! Like them on Facebook (Facebook.com/TobleronePilipinas) or follow them on Instagram or Twiter (@toblerone_ph). Note: Toblerone Valentines pop-up stations will be open until February 14, 2018.